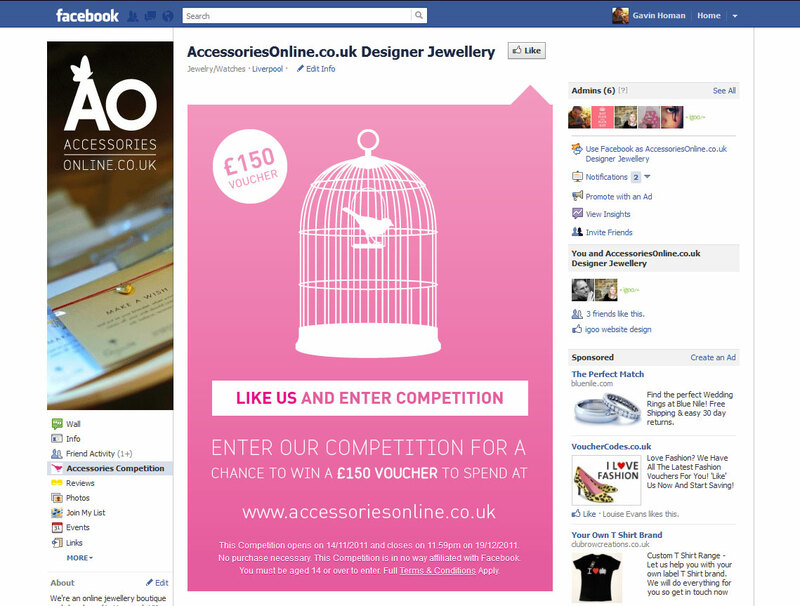 We have just launched another facebook competition on behalf of Fashion Jewellery retailer, Accessories Online. The competition which requires the user to ‘Like’ the Facebook Page before entering allows Accessories Online to increase it’s growing number of ‘fans’. Close to surpassing the 4,000 fan mark, the Facebook platform has been a great tool for marketing the range of Fashion Jewellery available. If you would like a chance to win a £150 gift voucher to spend on jewellery at Accessories Online click here.